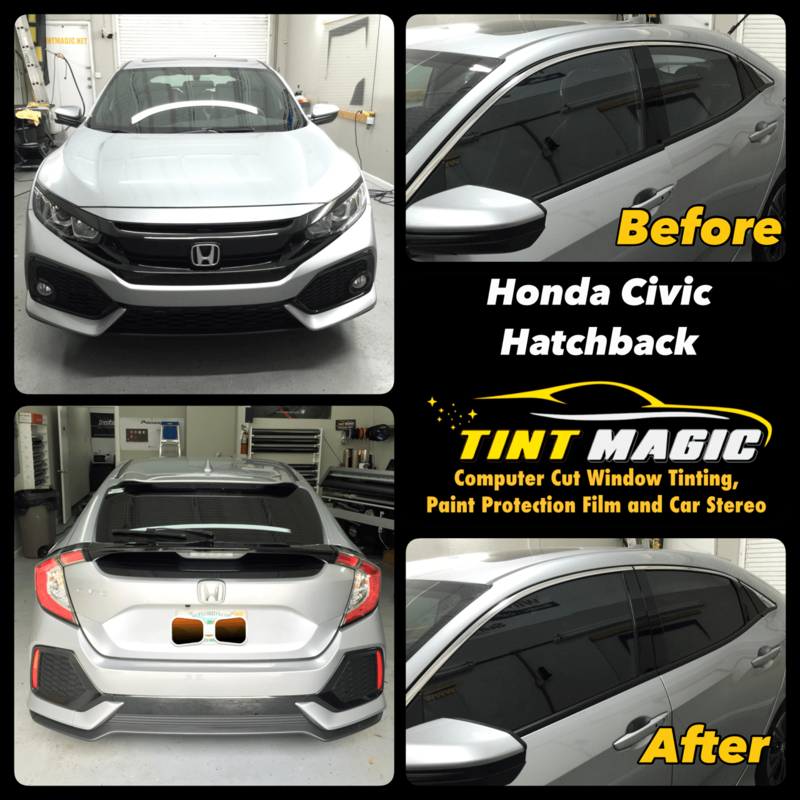 Honda Civic Hatchback at Tint Magic Window Tint Coral Springs, Parkland, Tamarac, Sunrise, Weston, Coconut Creek, Deerfiels Beach, Pompano Beach. Call us for the best quality and service! (954) 840-7883.